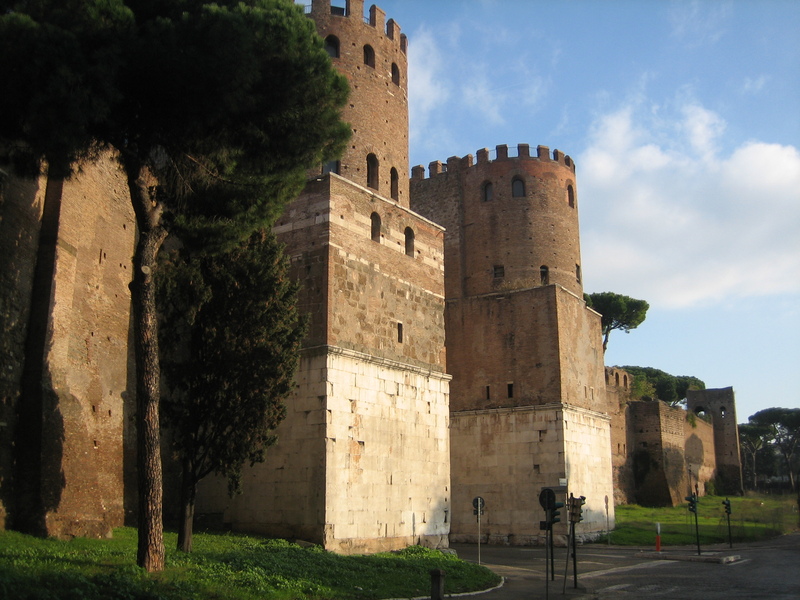 This morning I biked the Via Appia, from the Aurelian Wall out almost as far as the Castelli and then back to Circus Maximus. This was the longest ride I’ve done in a while and my legs are hurting. But what a fantastic experience. 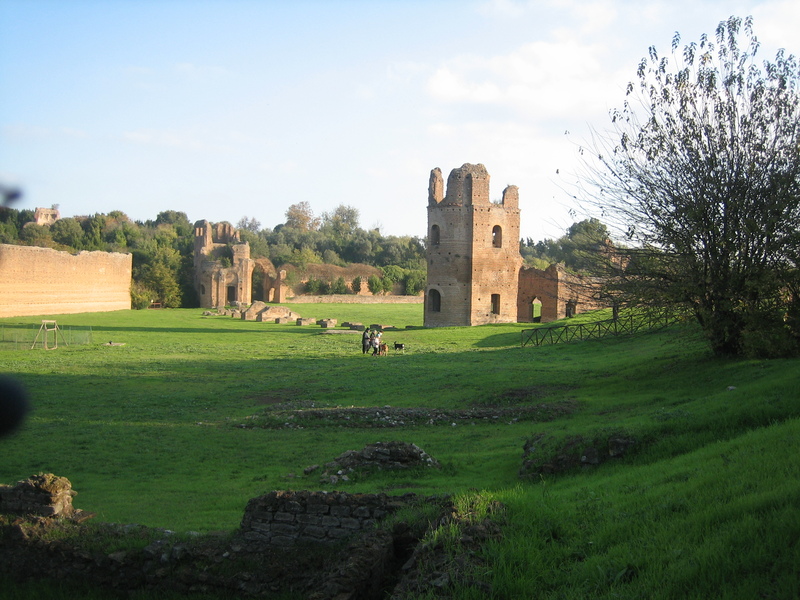 Thanks are due to Appio Claudio for making the road in the 4th century BC, for Luigi Canina for preserving it as a park in the 19th century, and to the Parco Regionale dell’Appia Antica for maintaining it today. 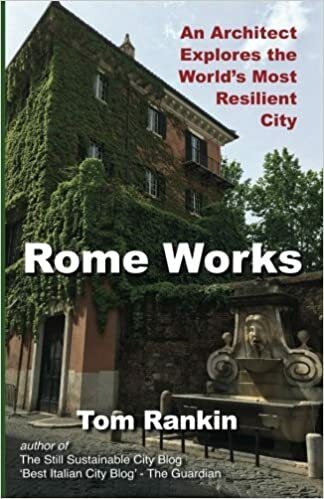 I took travel-writer Rick Steves biking out here for his show about Rome many years back and since then have seen interest in the road and its park grow, with good reason. It’s one of Rome’s most impressive green archaeology sites. 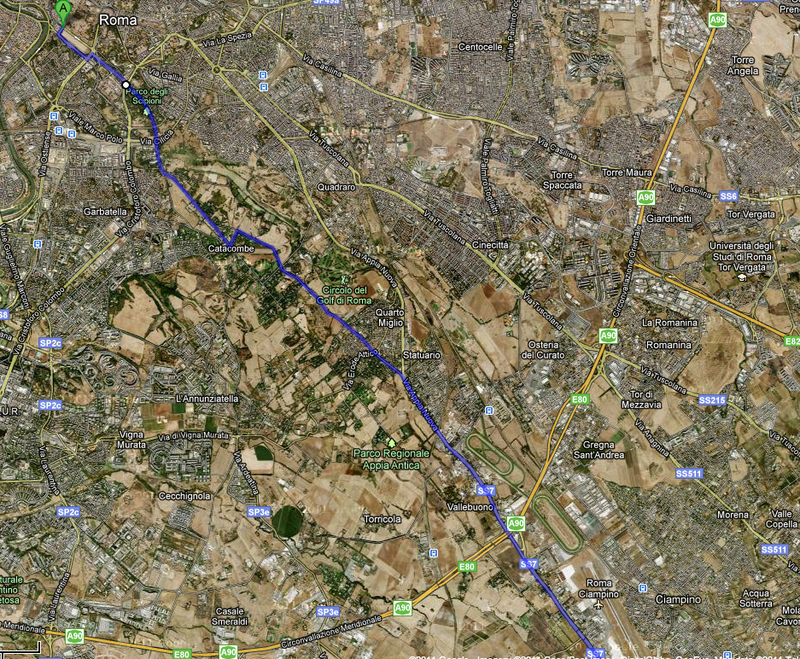 Today my goal was the Grande Raccordo Annulare, the ring road that circles the city. The last time I really explored the outer reaches of the road it was still bisected by this high-speed artery but some years back the GRA was buried to allow the ancient road to continue uninterrupted on its course towards Capua, Benevento and then Brindisi. The light was fantastic and the temperature just right, chilly enough to make the effort of biking fast pay off in warmth. 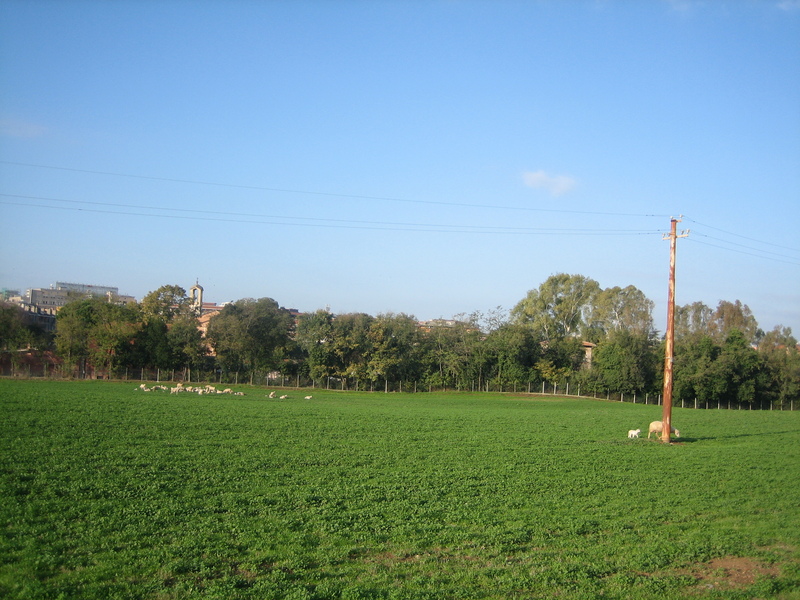 The first big climb after leaving the gates was a detour through the pastures above (literally) the catacombs of San Callisto, where sheep were grazing on the greenest of grass. 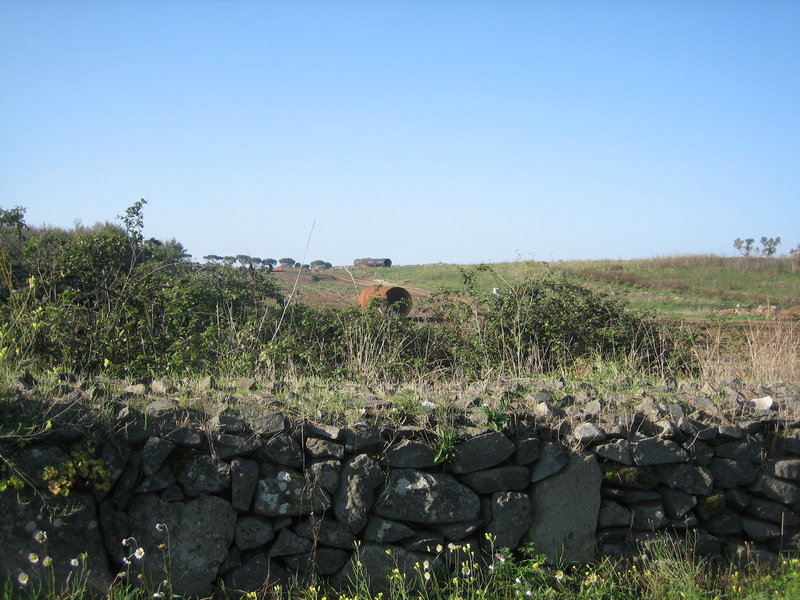 I stopped for water and then biked on past the Mausoleum of Cecilia Metella (stopping for a coffee at the bar, which also rents bikes by the way), on to where the road gets bumpy with its ancient basalt blocks, past tombs and statuary. Other than a few other cyclists and joggers (maybe one car), it was quiet. As I biked I reflected on how this great road paved the way (pun intended) for the network of intercity highways that spans continents today. But unlike those toxic arteries, this one is idyllic in its pastoral calm. 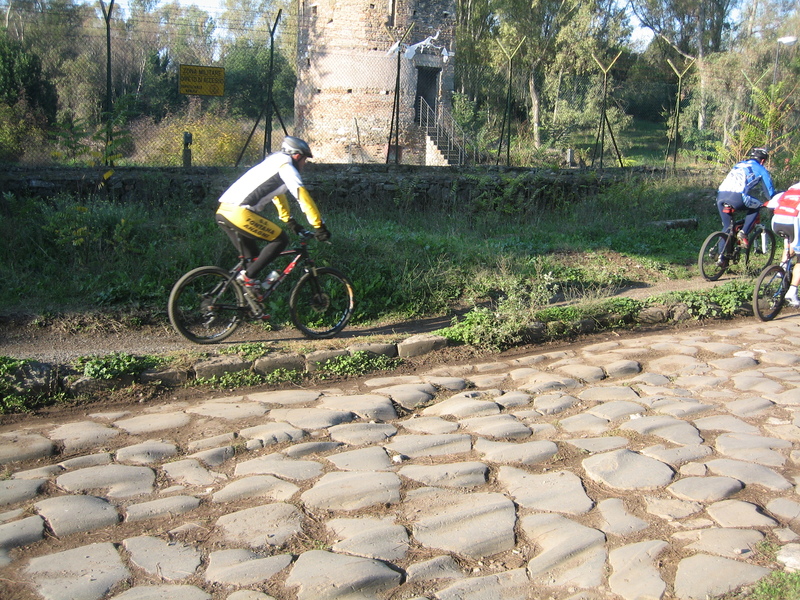 In truth, the Appian Way was scaled for people (Roman legions) and not machines, and still today anything bigger than a bicycle is out of place on it. 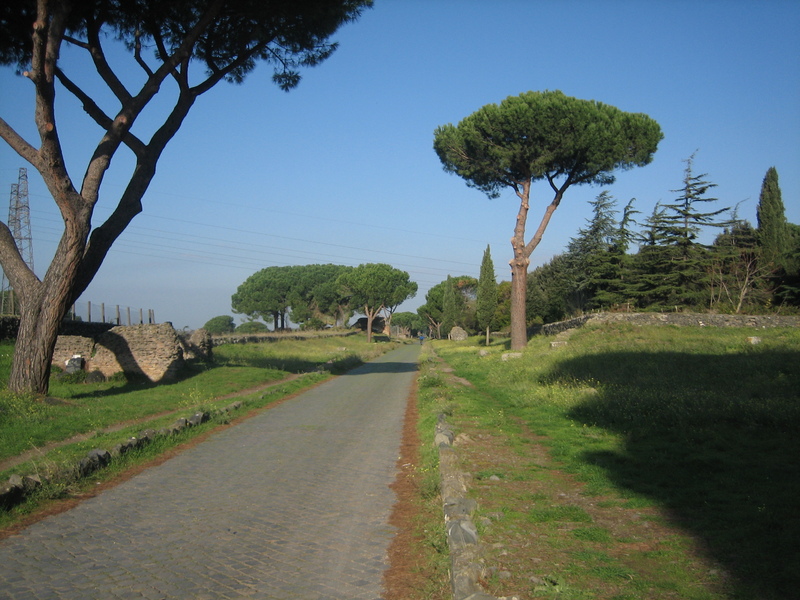 The Appian Way allowed occasional movement of individuals or groups across great distances, but was not made for pointless over-mobility between non-place destinations as so many motorways are today. 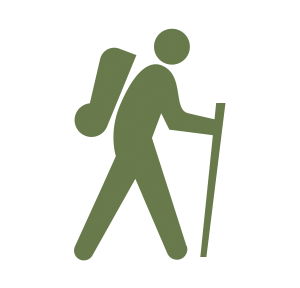 Most trips were still local, on foot, between places well situated in dense city centers. Reaching the Villa dei Quintilli I know I am near the GRA, my final destination, and I pedal on along what was for me unexplored terrain. And on and on. Can it really be this far? I see airplanes landing and realize I’m near Ciampino airport, which I know is farther out than the GRA. I check the GPS on my iphone. Yes, indeed, I have biked right over the multilane high-speed road, as unaware of it as most people are of the catacombs beneath the road closer to Rome. So I turn around and backtrack until the GPS tells me I am right above the highway. Now I notice the telltale signs of bulldozed earth and young trees but the road has been rebuilt pretty seamlessly where a few years ago it was severed in two. I wish the engineers had left more visible traces instead of consciously burying the modern infrastructure the way time often buries ancient infrastructure. Nearby the arches of the Acqua Appia aqueduct parade across a field above grazing sheep, a scene which says a lot about the city dweller’s need for water, food and clothing, as the ancient Roman road speaks clearly of our need for interconnection. Perhaps by burying our own roads, waterlines, sewers and other infrastructure we lose the clarity that civilizations once had. When our systems are less legible, so is their impact on our lives and our planet. Tom, Great ride! Great observations! Thank you for the post. It reminds me of how truly devastating our highway systems in L.A. have put us so far out of touch with nature. Here, you can’t ride 10 km in any direction! You’d be insane to battle a car (which is supposed to “share” the road with bicycles). That gives you an idea of the mindset. Our highway systems in Rome aren’t the best either with “tangenziale”, a small highway above ground, burying an entire neighborhood under it’s traffic, the “gra” around the city designed only for cars, and big arteries where you should be riding your bike without hesitation but you die because of cars doing double/triple speeds of legal limits. Nice article and nice ride! I rode the Appia Antica but with two Bromptons and a picnic sac, so we turned back after Quarto Miglio. Do you go to a Ciclofficina? Next time would be nice for you to reach the Albano lake !!! It s not that far away from Ciampino Airport ! How ? 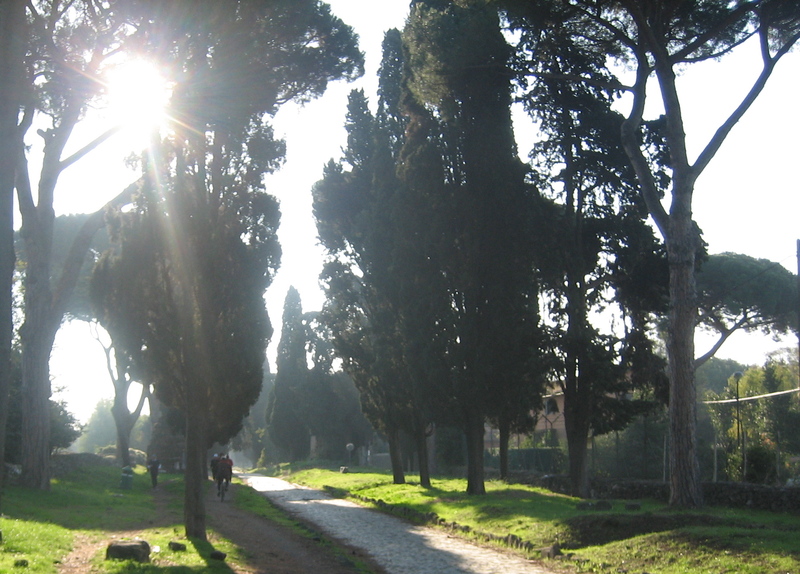 Just continue the Old Appian Way till the road vanish … after that you go left for small roads till you reach the lake! otherwise send me an email at angelo_mar AT yahoo.com and we go together !!!! Great article. This is my absolute favourite place to cycle. In fact it’s the place which made me a commited (fanatic some might say) cyclist here in Rome. It’s where I burst my first tyre and decided to buy a bike more suitable to the varied terrain here in and around this city. Then I was hooked. The road has its own incredible atmosphere of quietness and another indefinable quality of softness and peace which I’ve only otherwise experienced in parts of Scotland. i discovered just now yourr blog. nice one! im an urban cyclist in Rome also. I realize that I’m three years late in responding, but I walked the Via Appia from Rome to Capua back in 1990 and had to cross the highway on foot. That was a very dangerous and scary thing to do, but the only way I could keep walking. I haven’t tried the new version but plan to next year.